You’re reading novel The Demonic King Chases His Wife: The Rebellious Good-for-Nothing Miss Chapter 1019 online at LightNovelFree.com. Please use the follow button to get notification about the latest chapter next time when you visit LightNovelFree.com. Use F11 button to read novel in full-screen(PC only). Drop by anytime you want to read free – fast – latest novel. It’s great if you could leave a comment, share your opinion about the new chapters, new novel with others on the internet. We’ll do our best to bring you the finest, latest novel everyday. Enjoy! "Su Luo, you really are the person that old witch was looking for!" Li Yaoyao fumed with rage between gritted teeth. Jealousy, her eyes were filled with crazed jealousy. Only, it was a great pity that that old witch had already died. Otherwise, she could have used her to get rid of Su Luo. Su Luo's eyes roamed around, her lips curling into a sneer: "That's right, who my mother is, you might also have known?" Su Luo's mother, back then, was a G.o.ddess-like majesty of renown in the world, who didn’t know her, who didn’t let her be known? Her Majesty Yan Hua, with a wave of her hands, s.h.i.+ps would turn to ashes and smoke. With a command from her, countless number of strong experts would follow her through h.e.l.l and high water. At that time, she was the leader of the entire continent, with numerous followers, how could a small Jade Lake's Li family contend against her? Su Luo's words were like a sharp sword, stabbing deeply into Li Yaoyao's chest. Just now, she had loudly shouted, being unconvinced, that she was prettier than Su Luo, the result was her feeling inferior. Just now, her heart was unreconciled and she boasted about her strong background. But now, her entire Jade Lake's Li family couldn't be compared to even one of Su Luo mom's finger. Li Yaoayo choked on her own words, momentarily, she stood in place, stumped for words. Her chest moved up and down violently. However, she was so distracted that she couldn't even utter a word. At this moment, Situ Ming stared at Su Luo's appearance, his shock wasn't less than Li Yaoyao's. Master had always carried a small human-shaped wood carving with him, he had seen it once by accident, that face was exactly the same as the face of this lady in front of him! Master treated that wooden carving like his greatest treasure, before, someone from another sect accidentally saw it, and Master dug out his eyes! Master was normally kind, but as long as matters touches upon that wooden carving, he would change into a completely different person! Now, this girl in front of him had the exact same face as the wooden carving. Situ Ming's face suddenly became gloomy then clear, his deep gaze unfathomable, with a complicated expression. n.o.body knew what he was thinking of. Nangong Liuyun was unhappy, he took the thick warm hat and placed it back on Su Luo's head. His reproachful tone carried traces of spoiling flavor: "Who told you to take it off? What if you catch a cold?" Su Luo stuck out her tongue and smiled while revealing two dimples: "Am I really that delicate?" "How healthy do you think you are now?" Nangong Liuyun poked at her bright and clean forehead. "Didn’t Miss Li insist on knowing who I was since the beginning? If I don't let her look, then she won't give up." Su Luo rubbed against Nangong Liuyun's chest, like a languid kitten. The two people talked as if no other person was present, but it made Li Yaoyao's face become stiff. Were they putting on a display of affection in front of her? Would they die if they didn't flaunt it? Li Yaoyao was so furious that she nearly spit out blood. But in just the blink of an eye, Su Luo, who she had originally looked down upon like dirt, changed shape in a single shake, from that ugly duckling to a graceful white swan! Not only had her appearance changed, there was also her whole new terrifying ident.i.ty and background. All of this made Li Yaoyao deeply jealous of her! In front of her, everything clearly stated that Nangong Liuyun and Su Luo was a perfect heavenly pair. Simply a match made in heaven. Was she going to give up just like this? Li Yaoyao's heart was filled with sadness. No, absolutely not! An unwavering determined light flashed through Li Yaoyao's eyes. From childhood till now, her mind was set on Nangong Liuyun. Without him, what meaning did the endless road of life have for her in the future? Therefore, no matter how bitter or how tiring, she would never give up! Li Yaoyao took a deep breath, and was thus able to dislodge that unpleasantness in her chest. 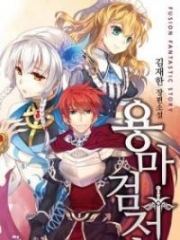 You're reading novel The Demonic King Chases His Wife: The Rebellious Good-for-Nothing Miss Chapter 1019 online at LightNovelFree.com. You can use the follow function to bookmark your favorite novel ( Only for registered users ). If you find any errors ( broken links, can't load photos, etc.. ), Please let us know so we can fix it as soon as possible. And when you start a conversation or debate about a certain topic with other people, please do not offend them just because you don't like their opinions. You're reading The Demonic King Chases His Wife: The Rebellious Good-for-Nothing Miss Chapter 1019. This novel has been translated by Updating. Author: Su Xiao Nuan,苏小暖 already has 12309 views. Current Time is Apr-22-2019 22:08:16 PM.